NEW CARES Ltd is a Social Business that provides quality, affordable clean cooking, clean lighting, clean water to rural households and institutions. MISSION: Deliver Sustainable Modern Energy Solutions to rural Ugandans. NEW CARES (Community Access to Renewable Energy Solutions) started as a Social enterprise project of NEW Foundation – (Ndiba Empowering Women. This is an organization that has formed over 120 Womens, rural savings groups. CARES is working to eradicate energy poverty particularly among underserved communities. 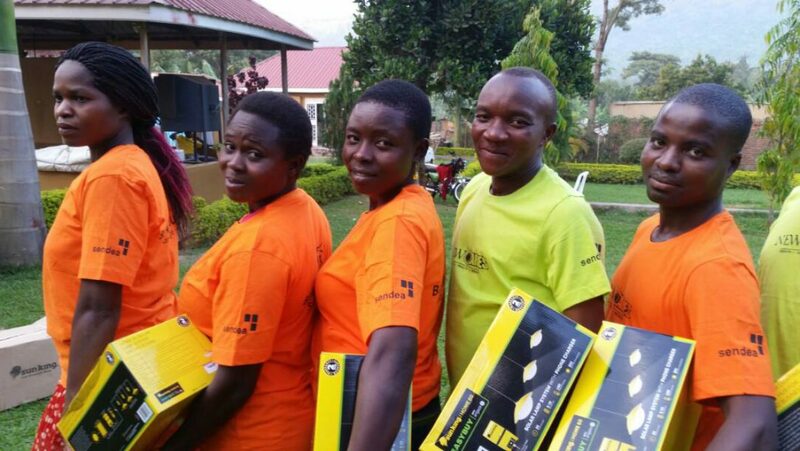 We combine the breakthrough potential of solar technology with a deliberately community-centered sales network to promote Breath (of cleaner air) Health, and Wealth to the most remote communities in rural Uganda. Going the Last Mile!Leaving None Behind. WELCOME TO NEW CARES WHERE WE ENSURE ACCESS TO CLEAN LIGHTING: CLEAN COOKING: CLEAN DRINKING WATER. IT IS ALL ABOUT BREATH: HEALTH: WEALTH.